“Doing so now, while your furnace is working, prevents the nightmare of a dead furnace in the middle of winter, with its lofty costs for an emergency visit by a repairman, which can run you hundreds of dollars in just a site fee and another possible couple of hundred for repair parts and labor. “• Prevent costly breakdowns. It’s not just a full system replacement that can be the danger. Your furnace might stop working because a part is out of order, which requires you to call a technician, live without your furnace for days or longer until the technician can make it to your home. The broken part will cost money to replace, plus a lot more money in site visit and labor. These mini breakdowns can cost a lot of money over time, and a tune-up can prevent them. • Prevent inconvenient service needs. If you have houseguests for Thanksgiving, that would be a terrible time for your furnace to break down. In addition to the lack of heat, it can be very embarrassing to have anything break down in front of family and friends. Winter’s temperature extremes can make this an even bigger concern. Our commercial and residential customers enjoy easy scheduling, convenient service hours, and courteous and exceptional heating service. It’s a breeze to keep your furnace well-maintained in Eden, High Point and Kernersville, NC. We solve your HVAC problems. 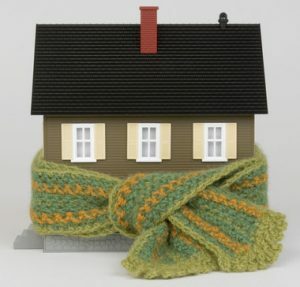 Keep your home energy efficient this winter with a complete furnace inspection from Berico Fuels. Contact us at 336-496-2509 to schedule service today.